Nowadays marketing has become the major battleground for headphone companies. Bose and Beats drop millions on their commercials and celebrity endorsement. These companies are so profitable, Apple bought out Dr. Dre’s Beats for $3 billion, which generates a nearly $860 million revenue stream annually. 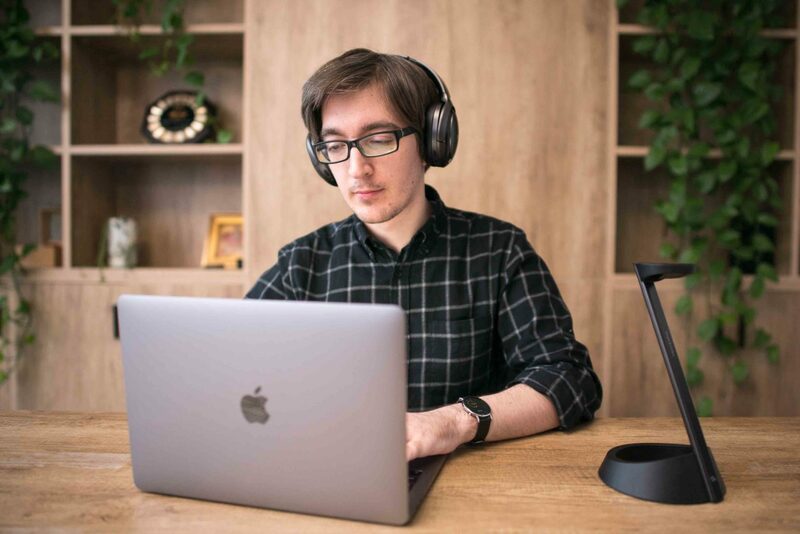 It’s difficult to see the real product behind all the marketing smoke screens, and that’s why we always keep our eyes on the potential up-and-comers in the noise cancelling headphone market. Recently, we’ve got our hands on a prototype of the Mu6, the company behind the product claims their headphone performed better than Bose, and they have the data to show for it. 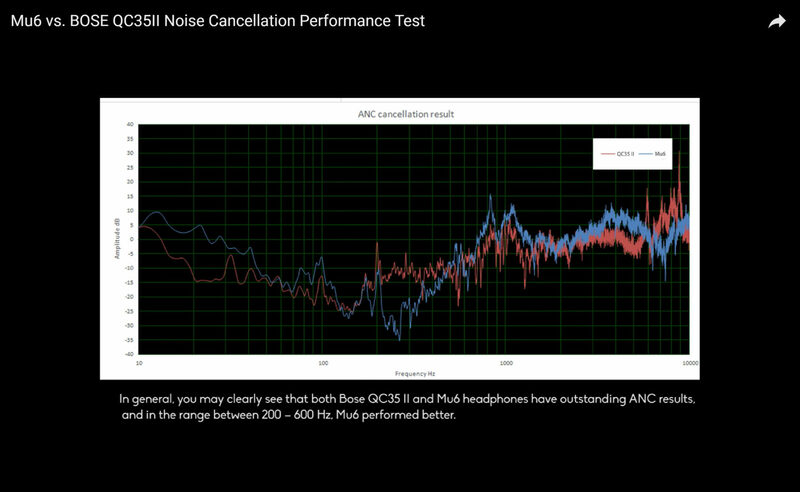 The biggest claim made by the Mu6 is its performance in noise cancelling. 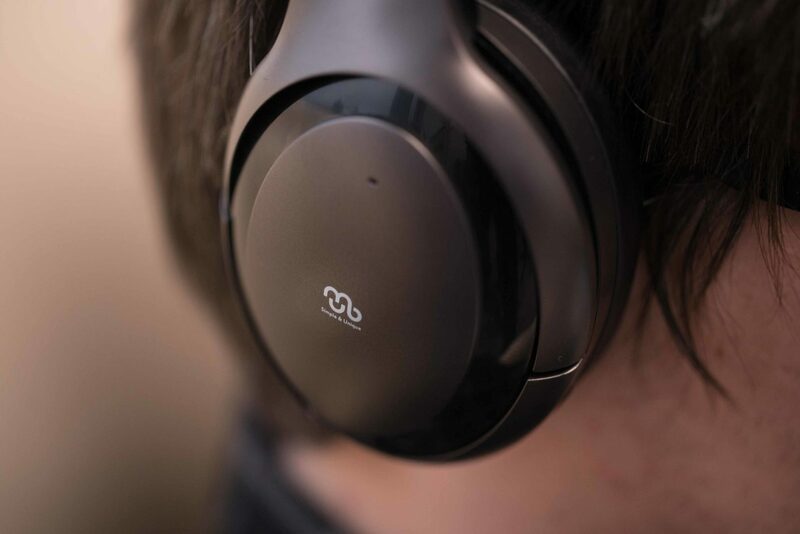 The Mu6 uses the hybrid active noise cancellation technology, which could identify the noise and give users a more immersive sound. For noise over 2000hz, the Mu6 managed to maintain an average of 5 to 10 dB lower than Bose. We did some field test in the subway, and the results seem to support their claim but not by much. We listened to the same podcast in the same noisy urban environment. We managed to keep the volume on our phone at 60 percent for the Mu6 before the sound getting drowned out by the noise. We had to go a bit higher to 70 percent for the Bose QC 35II. For the most part, the difference isn’t significant for an average user. It would probably take a graph for us to see the difference as well. User experience is where the Mu6 excel the most. Starting from the charging station, Mu6 comes with an elegant charging stand where the headphone could be wirelessly connected to. During our daily use, we find the Mu6 to be more user-friendly than the Bose QC35II by any normal standard. The Mu6 took a lot of feedback from their Indiegogo campaign and added a few features that are very practical. 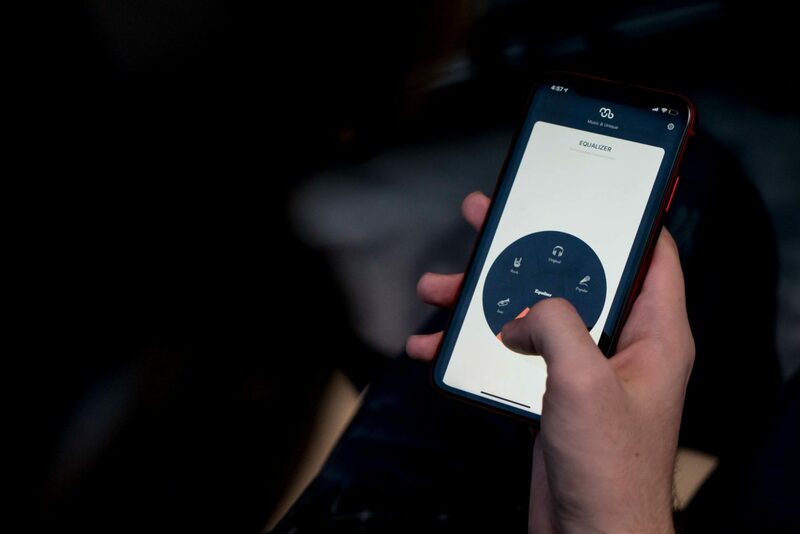 When you are on the noise cancelling mode, you can turn off the noise canceling function by covering the left side of the headphone with your hand. This will temporarily disable the noise canceling and let you listen to important information on demand. The headphone also comes with its own app. It allows the user to details his or her needs and adjusts the function accordingly. By default, the headphone functions like the Apple AirPods. Once the user takes the headphone down, the music would stop playing on the headphone. The music would resume playing once the headphone is back on. The Mu6 borrowed a few tricks from the medical field. The system also the user to conduct listening tests, and the headphone would adjust its output accordingly to optimize the listening experience. Our ears hear different frequencies due to genetic difference and age difference. The Mu6 could adjust its setting and fits the individual needs. After we did the test, and the sound quality did have a discernable improvement. 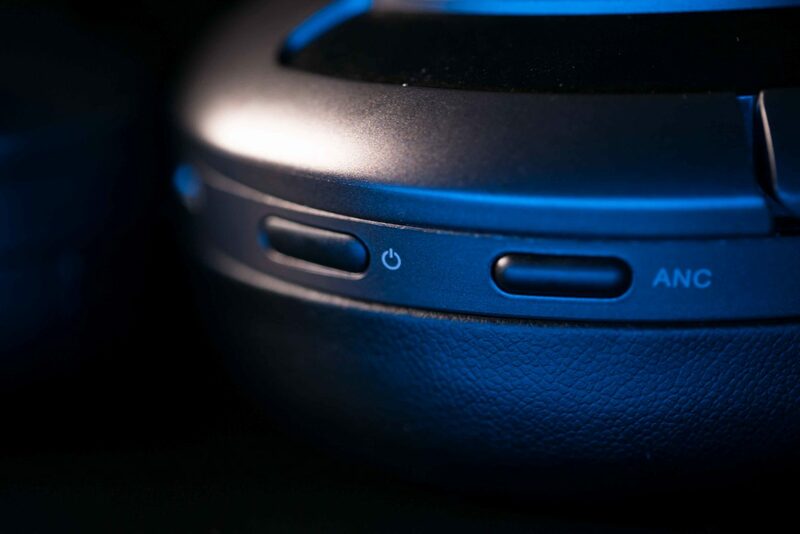 The headphone has a quick access smart button along with an ANC button. We test the headphone on the IOS system, and it works as good as the iPhone native AirPods. The Mu6 stresses their product is merely a prototype, and until next March (the headphone’s official release date) they are still making a lot of adjustment. We also think it still has a lot to desire to compete with major players like Bose or Sony. We did a quick poll in our office about the sound quality. The majority still prefers the sound quality of Bose QC35II to the Mu6. Although I personally don’t think it’s a big deal, the headphone is 50 grams heavier than the Bose headphone. Since most of the headphone reviewers would roll out a scale to weigh the headphones as the first stop of the review, the Mu6 will definitely lose out on this part. In terms of the overall comfort level, Bose’s leather is a lot softer and hug the ear better than the Mu6. But overall, the Mu6 has definitely poised itself as a major the contender for the high-end noise cancelling headphone market. At its current pricing, the Mu6 is the winner for us. The product is on sale on Indiegogo for $149 and featured in Indiegogo Team Favorite Collection. It’s $200 cheaper than Bose’s QC35II. However, it won’t start shipping until March 2019. For the final verdict, we might have to wait for the finished product. This week at Google’s event, the company announced its new line of hardware, and their products reflect the immense technology resource Google has. The DJI Flight Simulator is based on professional pilot training software and uses leading flight control technology to realistically recreate the natural drone flying experience. Hi Gigadgets, would like if you compare MU6 with SHIVR (at kickstarter) and share your review with us. Both are similar kind of intiatives.